FedEx Express, a subsidiary of FedEx Corp - a leading transportation company, is offering football fans in Bahrain the opportunity to to win a trip to watch the UEFA Europa League final. The offer includes match tickets, flights and accommodation. The competition, located at www.fedex.com/bh and open until March 25, simply requires visitors to answer three questions and a tie-breaker for a chance to win, said a statement. FedEx customers can enter up to 100 times through the online competition by submitting valid FedEx Air Waybills, it said. 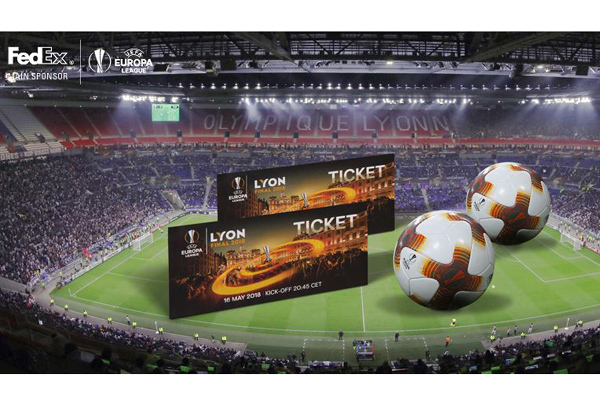 The first 50 customers to submit 10 valid Air Waybills will win a UEFA Europa League replica football, it added.